Soulflower aromatherapy roll-ons were launched around May this year and these come in 11 varieties, 5 of which are available as a bundle pack. I had bought the bundle at a 50% discount offer during my first haul from Soulflower. The offer has ended just some time ago and now you can buy this set for the full price INR 500 or any of these roll ons individually for INR 100 each. This post will help you choose the best one(s) for you. Even though the quantity is just 8 ml, they still look full after several uses. So these are quite long-lasting. 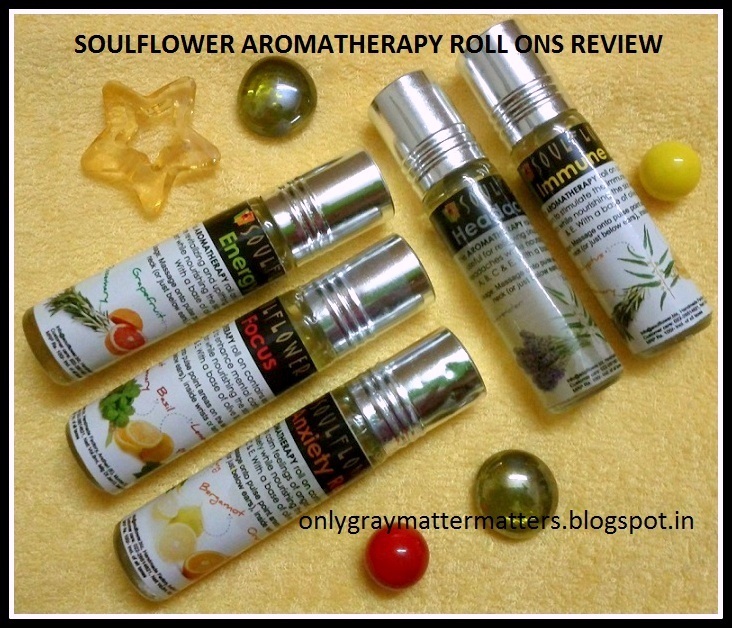 I was very excited when i had first seen the ad for Amrutanjan roll-ons on TV and at that time I did not know about Soulflower. So I really love this innovative roll-on dispenser, as you can apply these easily in the right amount, without any mess or contamination. Very easy to carry along in the purse but just make sure to screw the lid properly. 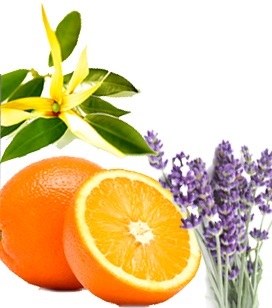 Ingredients: Bergamot essential oil, lavender essential oil, orange essential oil, ylang ylang essential oil, Vit E in a base of jojoba oil. Description: This aromatherapy roll on contains essential oils known to calm feelings of anger, ease frustration, reduce anxiety while nourishing the skin with Vitamins A, B, C & E, with a base of Olive and Jojoba Oil. You can read the details and benefits of each ingredient HERE. MY EXPERIENCE: This anxiety relief roll on smells the best out of the 5. I had an aversion for floral fragrances before and even when choosing perfumes, I always used to avoid those with floral notes. But Soulflower converted me to these exotic fragrances. The main note I can smell in this roll on is Ylang Ylang, which is an exotic flower. Initially I was confused when to use this one and when to go for the headache relief one. I use this anxiety relief roll on whenever I feel any sort of stress, when I feel short of breath, my heart is beating faster than normal, I have an uneasy feeling in my stomach and a tension building up around my eyes, whenever I feel pressure around m eye balls. I have discovered that I may not have headache at all when I am stressed, but the main symptom is heaviness in my eyelids. Does this Roll-on work? YES YES YES. It works instantly and elevates my mood within a few minutes like some magic. I find it the BEST one among the 5. They also have a PMS relief roll on for women but this one can also work to elevate your mood during PMS as the ingredients are quite similar. 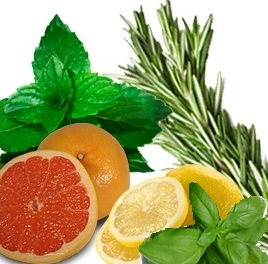 Ingredients: Peppermint essential oil, rosemary essential oil, lemon essential oil, grapefruit essential oil, Vitamin E in a base of jojoba oil. Description: This aromatherapy roll on contains essential oils that are revitalizing and uplifting, helping you to feel more alert while nourishing the skin with Vitamins A, B, C & E, with a base of Olive and Jojoba oil. You can read the details and benefits of each ingredient HERE. 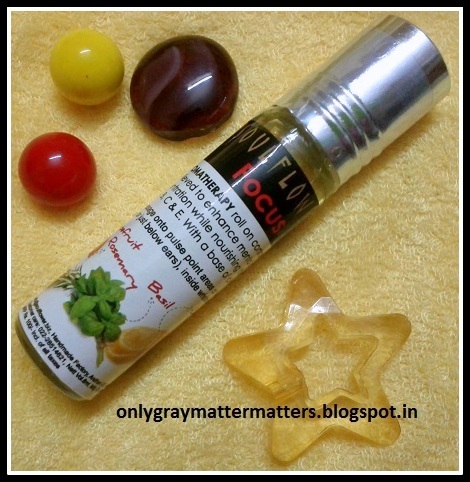 MY EXPERIENCE: This roll on helps me when I am feeling lazy and lethargic. Also helps me when I have to do something important and am not able to 'get into the mood'. It is especially helpful when you wake up and don't feel like getting out of the bed. Works great even after intense cry sessions to get you back up ;) and should also work in case of a hangover after a late night party. Instantly peps me up and does boost the energy levels. Even if I just sniff it, it wakes me up. 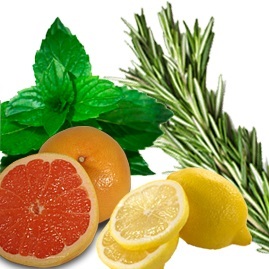 The main note I smell is peppermint and lemon, and on the skin, lemon alone. Yes, this one also works. Soulflower says it should NOT be used before bedtime as it 'wakes you up' rather than calming you down. 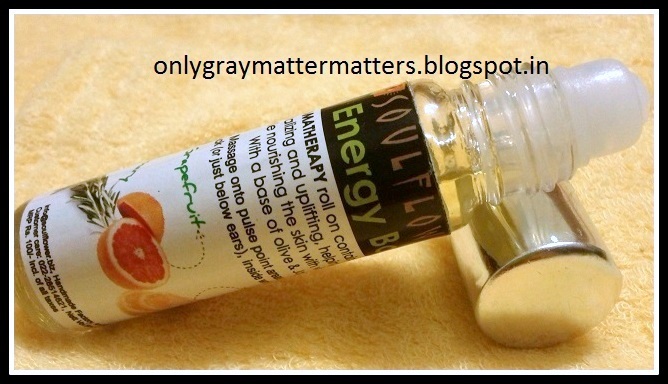 Ingredients: The ingredients are exactly the same as Energy Boost Roll On + Basil, but the effects they produce are totally different, may be due to the difference in the quantity of each essential oil used. Description: This aromatherapy roll on contains essential oils believed to enhance mental clarity and concentration while nourishing the skin with Vitamins A, B, C & E, with a base of Olive and Jojoba oil. You can read the details and benefits of each ingredient HERE. MY EXPERIENCE: Even though the ingredients are the same as the energy boost roll on with just basil as an additional ingredient it does not smell as peppy as the energy boost roll on. The main note I can smell in the bottle is basil but on the skin it smells sweet and calming as opposed to the Energy Boost Roll on. I could not really figure out when to use it, so I use before I sit down to write a blog post. But it can be great for students especially when they feel distracted and need to concentrate or during their examination days. You can also gift to a loved one who faces forgetfulness due to over exhaustion or otherwise. It really makes the mind alert. Ingredients: Lavender essential oil, Rosemary essential oil, eucalyptus essential oil, peppermint essential oil, Vit E in a base of jojoba oil. Description: This aromatherapy roll on contains essential oils that are useful for relieving sinus congestion and soothing headaches while nourishing the skin with Vitamins A, B, C & E, with a base of Olive and Jojoba oil. You can read the details and benefits of each ingredient HERE. 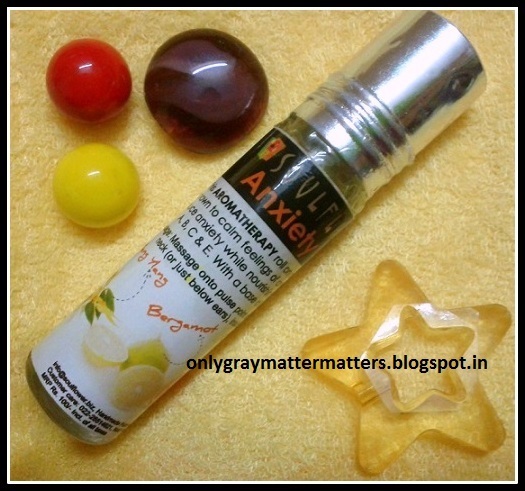 MY EXPERIENCE: It does work and gives relief from throbbing headache. The main scent is Lavender and it smells very strong. But to me personally it was not of much use as I already have both Lavender and Rosemary essential oils with me. 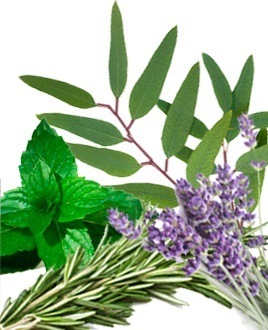 I use lavender oil for headache and numerous other purposes, which you can read in THIS article. So if you are planning to buy this one alone, rather go for Lavender Essential Oil which can be used by your entire family in numerous ways. Otherwise this is a great product to keep with you in case you travel a lot everyday and experience often headaches. This is also great for people with sinus problem. 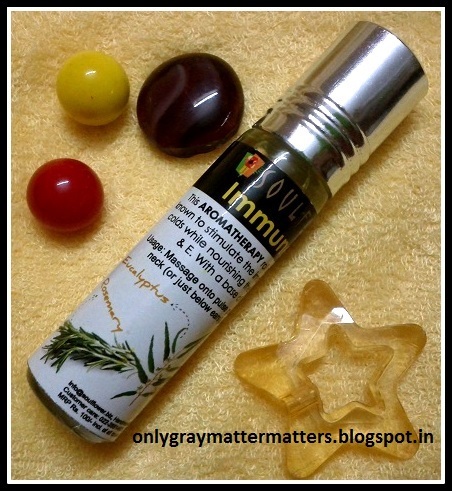 Will be very helpful to combat cold and flus in the approaching winters. You can gift to a loved one who faces blocked nose/ allergy/ sinus due to running around a lot in the dust or on bike. Despite the seal, the label on the headache relief roll on was already oily when I received the set. There was not a trace of oiliness inside the plastic pack or on the bottle and the quantity was full. Seems some spillage happened at the time of filling it in. Ingredients: Tea tree essential oil, lemon essential oil, eucalyptus essential oil, rosemary essential oil, Vit E in a base of jojoba oil. Description: This aromatherapy roll on contains essential oils known to stimulate the immune system and combat colds while nourishing the skin with Vitamins A, B, C & E, with a base of Olive and Jojoba oil. You can read the details and benefits of each ingredient HERE. 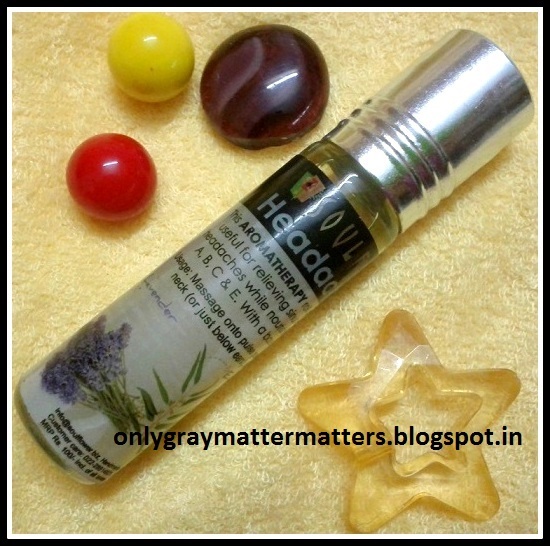 MY EXPERIENCE: It is again a very strong smelling one, like the headache relief roll in. 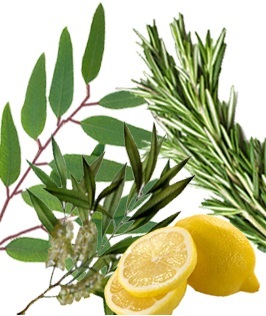 It contains tea-tree oil which is anti-fungal, anti-bacterial and even anti-viral. Best used when you have a feeling that you are about to fall sick or ill and even when recovering from illness (convalescence). I used this only once when I was feeling really low and sick, but it may be more helpful in the winters. This will work for people who are prone to allergies and who fall sick very easily, including school going kids (not very small children as it may feel strong on their skin). Also it may be good for the elderly to help boost their immune system. WHERE TO USE THESE AROMATHERAPY ROLL ONS? I apply on my wrists, then rub them together. On the inner side of my elbows. On my temples and sometimes forehead too. These are all high absorption areas of the body. For more specific application area for each roll on, read the elaborate description on the soulflower website. One of my blog members gifted the anti-snoring roll on to her dad and her feedback is that it worked and relieved his breathing. Both of them are awesome Jasmine and even the PMS relief roll on works superb for anxiety relief Jasmine. Wow, even you like the energy boost roll on. It helps me a lot because most times I keep lingering on the work :) And what I meant was that I already have lavender and rosemary oils so I didn't really need a separate roll on for headache. I agree it does not work instantly like the other ones but then it takes time once these absorb and increase the blood circulation to bring down the headache naturally. I reapply after 10 minutes and then if I close my eyes, it induces sleep. But for me, oiling the scalp with a few drops of rosemary oil diluted, works better I guess. Ha ha I think we do Luna :) Even if you don't have this roll on and just ylang ylang or geranium essential oils for other use, they can be used on the same body points for anxiety relief. Hey Tej, thanks. These are actually very helpful. It is best to buy fresh and need proper storage as fragrances are strong and get mixed with the other stuff stored along. So better get them once you are here. even i have this. the headache one on the contrary works for me... i love the fragrance of all so just keep using them even without specific needs! Oh I remember you had mentioned you will buy them. Didn't know you have already tried :) The headache one does work, I simply said I prefer getting Lavender and rosemary massaged directly into the scalp for immense relief. I reach out most to the anxiety relief one and use it interchangeable with the PMS relief one as both relieve stress. Me too just sniff them at times for the feel good factor he he. Applied on the scalp soaked overnight and washed it off. I agree the hair was soft and smooth and also had the chill effect when applied on scalp.after hair wash i observed light burgundy colour on hair. I feel the quality is been dumped off by adding dye in the oil and not as good as it seemed to be. did any of you experience the same.? Please don't post such false, stupid and misleading comments. While I am not associated with any brand, you could very well be a competitor trying to tarnish a brand's image. I don't like all Soulflower products and I had a bad experience with one oil bottle which I bought from their partner site but I am using many of their essential oils and they are excellent, in fact they are quite strong and pure and you need VERY little amount. There is absolutely no dye. When we say an essential oil is not pure, it simply means it has been mixed and diluted with some carrier oil. Lavender oil is one of the best essential oils to have in any household. The only way you could have noticed any color in your hair could be because of a color slip/fade due to coconut oil, that is if you use chemical hair colors. These roll ons seem like a life saver! Getting myself few of these asap. Thank you for such detailed post. You are welcome dear. Except for the headache relief one (which is with my brother), I am still using the rest all of them. When my kido feels too low in the morning and doesn't want to go to school, I use energy boost for him and immune boost is another most used one in my family. I use that whenever I know I am abt to fall sick or my throat is about to go bad, which gives me fever. Last month I was in Delhi and suddenly felt very sick in the metro train. After a few min I remembered I had the immune boost roll on with me and used that. Within 5 min I was fine. I had carried that and the anxiety relief one with me.